Bardo's Diamond Sports and Raptors Athletics Baseball are locked and loaded for Winter training this 2019 season. 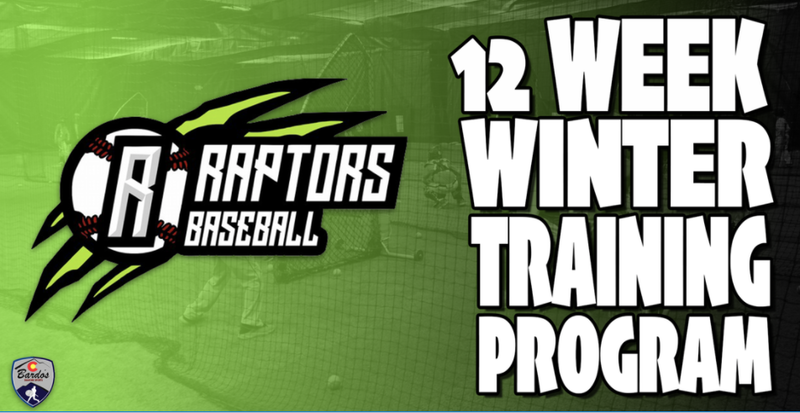 Bardo's will be providing a 12 week instructed training program for all players involved in Raptors Athletics Baseball. This program will be one hour a week and include both hitting and throwing instruction by Bardo's staff. This exclusive Raptors Baseball only 12 week package is $360 + 2%, which is an amazing price for in-house winter training by professional staff. Sessions begin January 5th, 2019 and run every Saturday until March 23, 2019.